Damage to a property during severe weather can happen as quick as the change of weather in Lincoln, Nebraska. 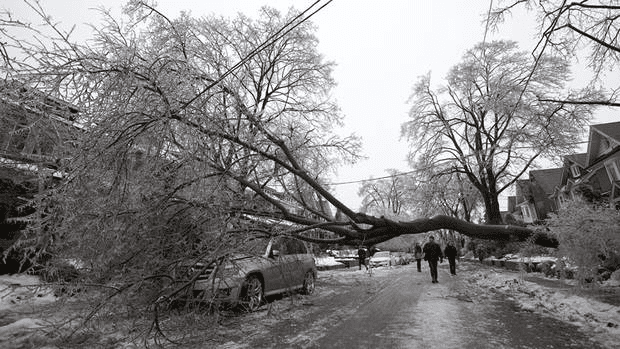 Limbs and branches can snap off trees and land on your Lincoln home or cars. Trees can fall on power lines or through your house. High winds and saturated soil conditions can even pull a tree out of the ground. As a homeowner you need tree storm damage clean up quickly and Dudley's Dew-Right can offer that. Did a recent storm cause tree damage? Make sure you contact us so we can give you a quick estimate and tree removal safely.